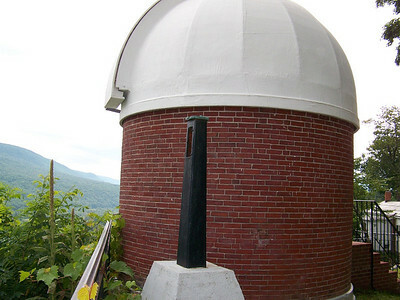 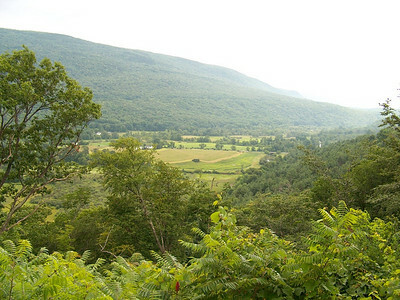 Classic 6 inch Brashear Refractor in Vermont. 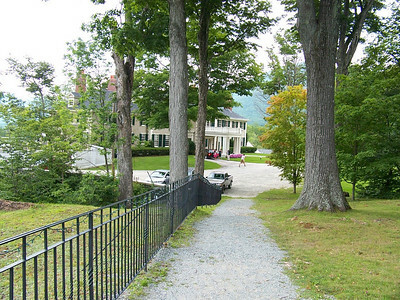 Located at Hildene, site of Robert Todd Lincoln's Summer home. 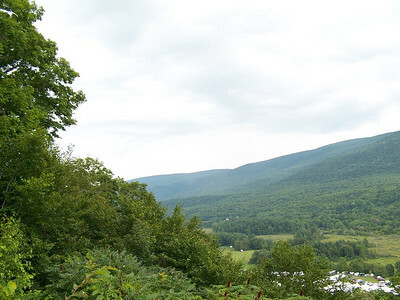 Images taken August 2008. 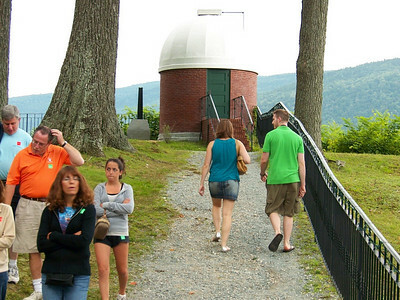 A short walk from the mansion is Robert Todd Lincoln's obervatory. 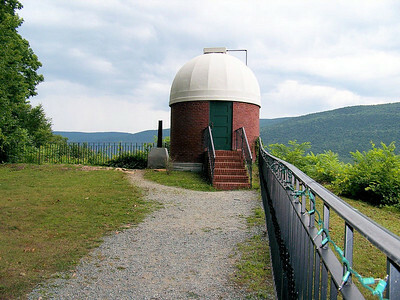 Anothe view of the observatory. 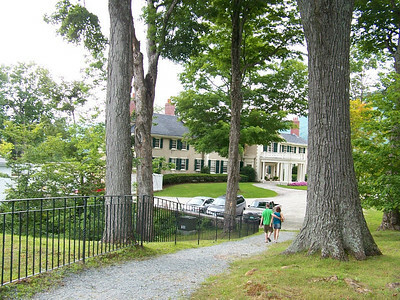 Note the pier in the back. 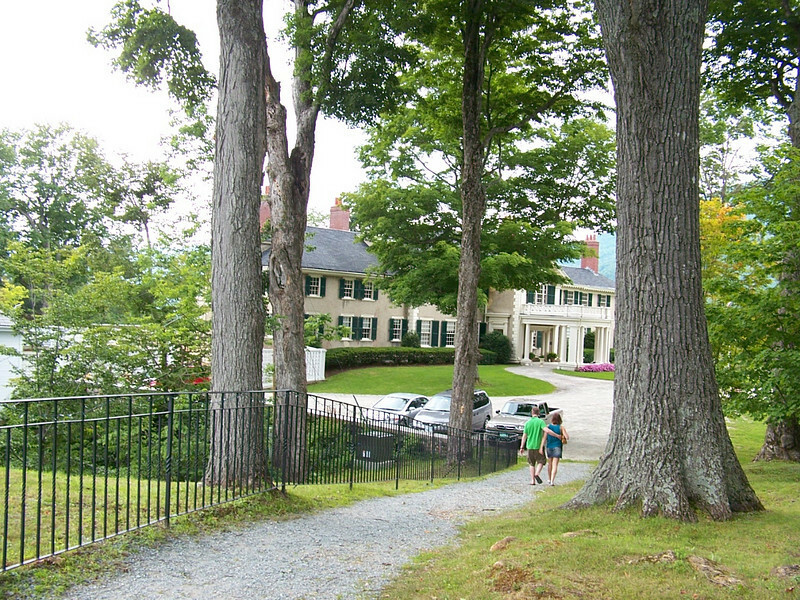 Down hill to the mansion. 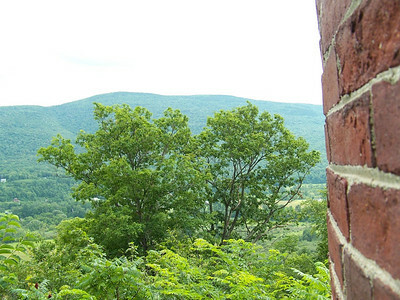 Terrific views from the observatory. 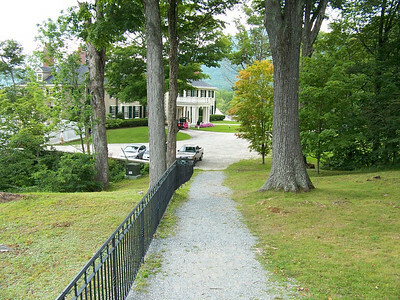 Walkway down to the mansion. 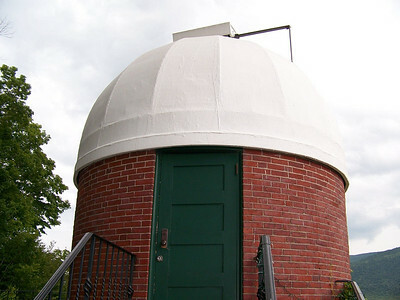 The front of Hilden's Observatory. 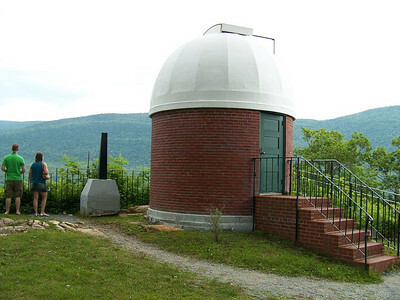 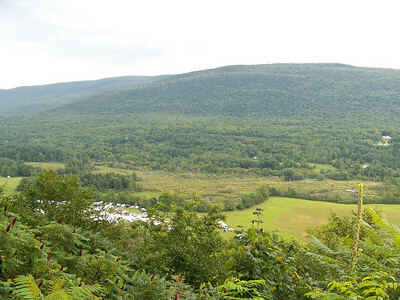 The observatory lie a short walking distance to Hildene - Robert Todd Lincoln's summer home. 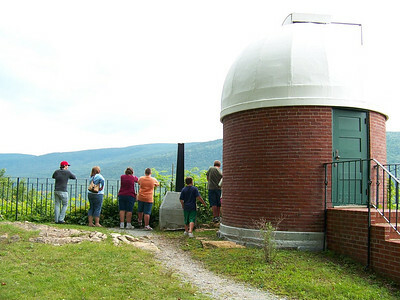 The observatory lies on a hillside - a nice view all around. 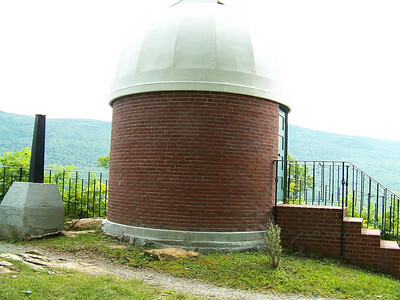 Rear view of the observatory. 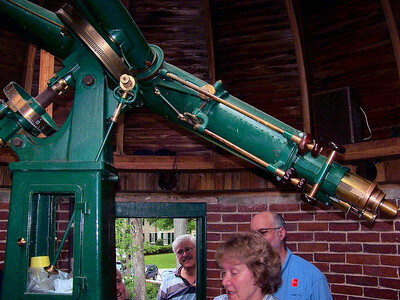 If I remember correctly this was the telescopes original pier. 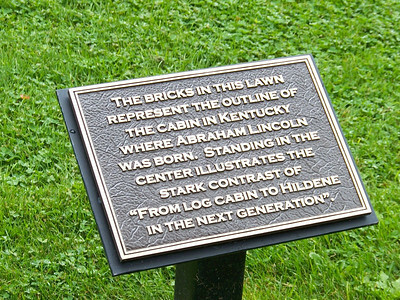 I don't remember why it was replaced. 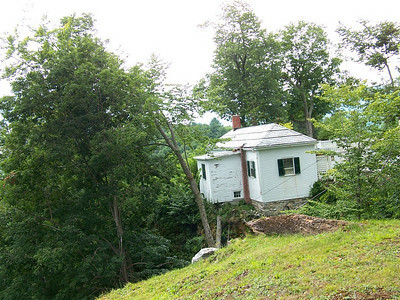 It resides outdoors for some reason at the time I took this image Aug 2008. 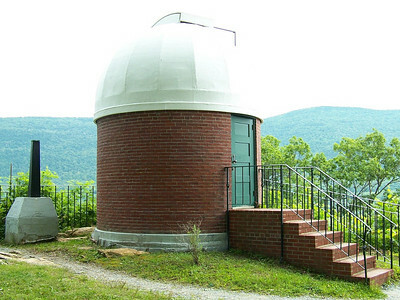 The dropoff here behind the observatory is noteworthy! 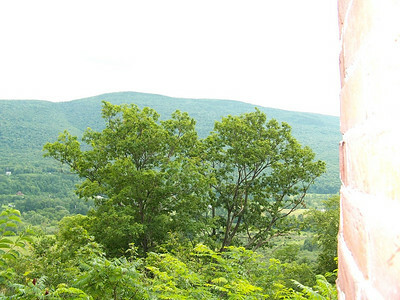 Tourists look at the beautiful countryside. 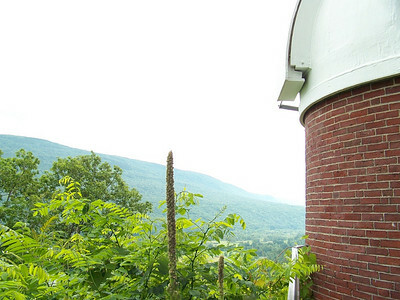 Lincoln Observatory at Hildene, in Vermont. 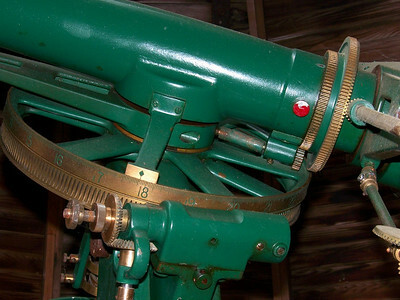 6 inch Brashear refractor - Warner & Swasey Mount. 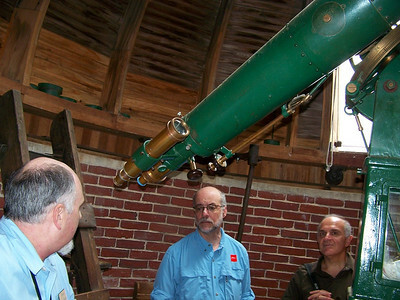 Doug Harrigan gives a tour of the observatory. 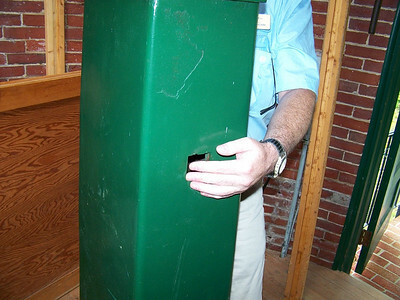 A very beautiful and well designed mount by Warner & Swasey. 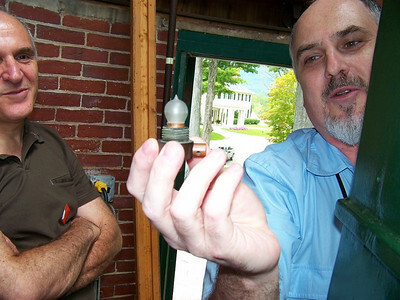 Rare original bulb that illuminated the setting circles on the Brashear Telescope. 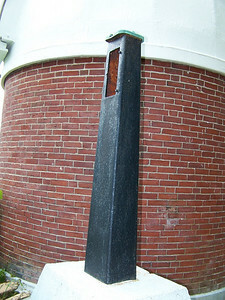 For 6 inches this instrument is impressive. 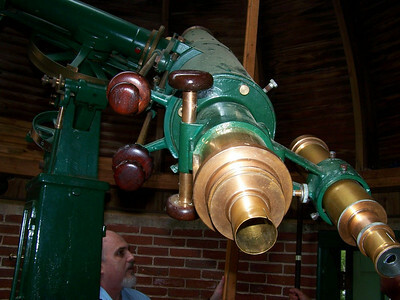 Close-up of the large brass or bronze setting circle. 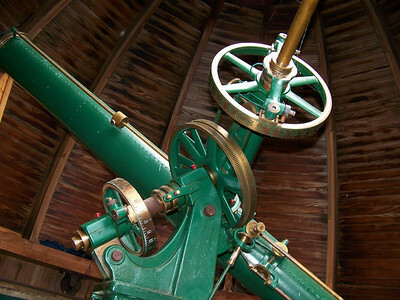 Note the fine teeth of the polar drive. 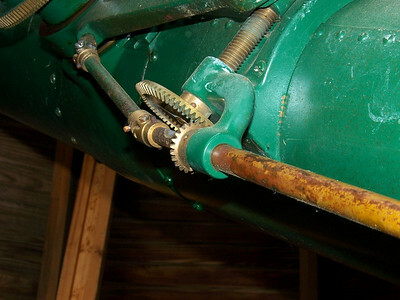 We even have brass or bronze beveled gears. 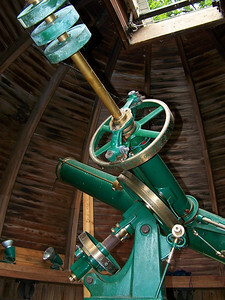 A great image to study the telescope.